I love Triple Magnesium! Helps my overall health. 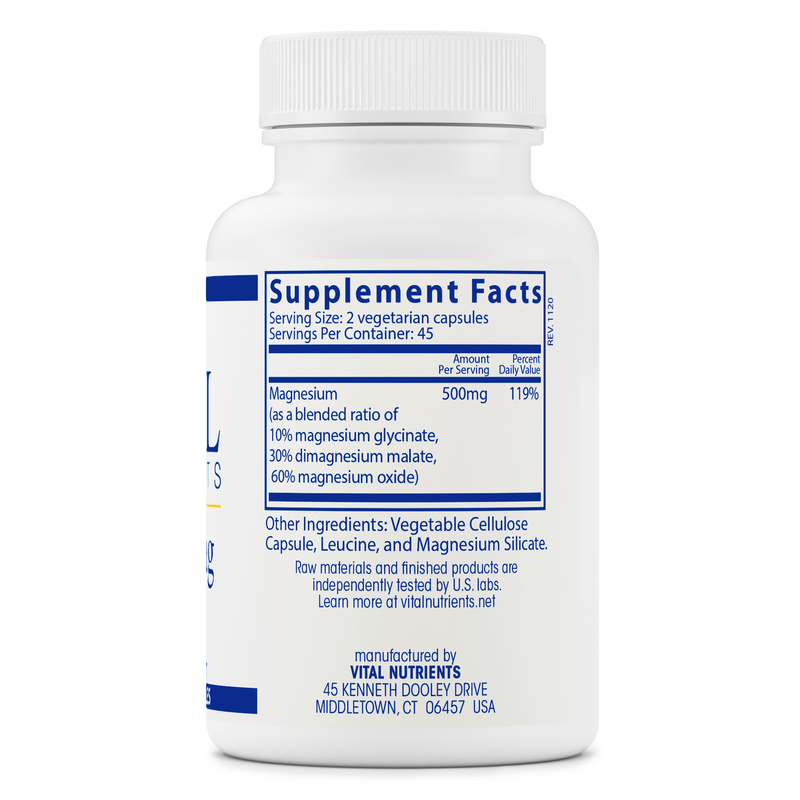 Triple Magnesium by Vital Nutrients is a great product and it helps. Triple Magnesium provides a necessary complement to the Calcium I take. Vital Nutrients’ Triple Magnesium combines three types of magnesium into one convenient capsule: magnesium oxide‚ citrate‚ and glycinate. Magnesium is used in hundreds of chemical processes within your body. A magnesium deficiency may result from conditions like kidney disease‚ continued stress‚ or diabetes. It’s a critical part of the body’s metabolism of amino acids‚ fats‚ and carbohydrates. Magnesium also activates enzymes essential to many bodily functions. Citrate is one of the most easily absorbed forms of magnesium‚ while magnesium oxide can serve as an antacid. Due to its attachment to a non-essential amino acid‚ magnesium glycinate is also highly bioavailable. 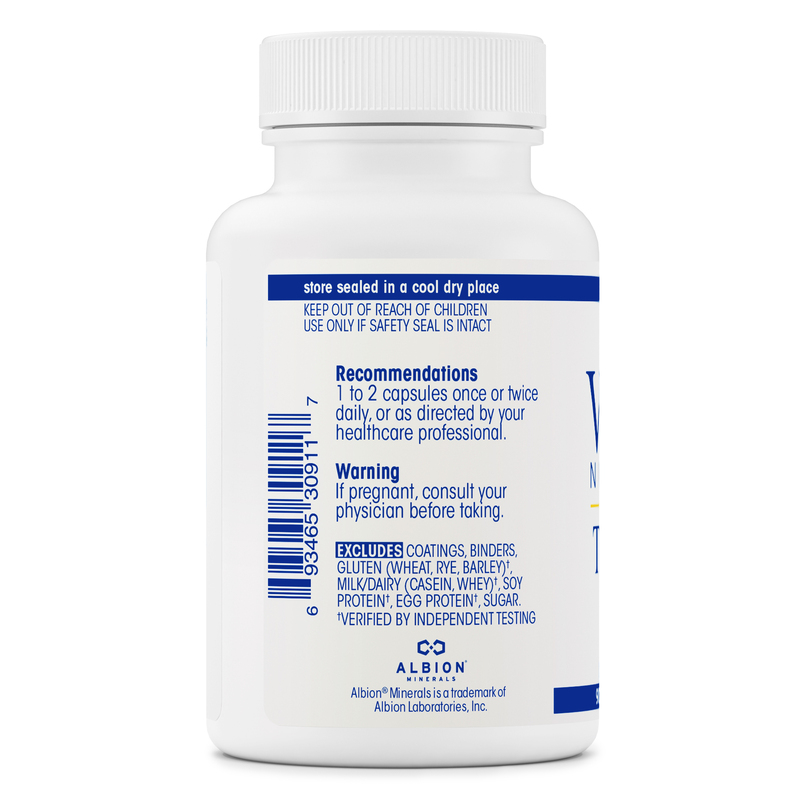 It also lessens the inconvenient and uncomfortable laxative effect possible with the other types of magnesium. Headaches and trouble sleeping may be alleviated by increased magnesium intake. In addition‚ magnesium has been associated with support for cardiovascular health and good bone density levels. Anyone’s bone growth efforts must include magnesium‚ because it helps in the transportation and absorption of calcium to and by the bones. Nerves and muscles also benefit from magnesium intake. Magnesium also plays an important role in preventing stress and mood swings. The body releases magnesium into your bloodstream when you’re stressed. However‚ it’s then released from your body through your urine. Although this process helps you cope with stress physically‚ it can also leave you deficient in magnesium. Unfortunately‚ this deficiency may lead to many serious health problems. One dose of Triple Magnesium provides 250 milligrams of the mineral. If you consume too much caffeine‚ sodium‚ or alcohol‚ you’re also at risk for having low magnesium levels. It has a domino effect. Without enough magnesium‚ your body won’t be able to fully utilize other major nutrients like for example‚ vitamin D‚ potassium‚ zinc‚ and copper. Low-fat dairy products (such as cheese or milk)‚ green vegetables‚ nuts‚ and whole grains are good dietary sources; ironically‚ the effort involved in eating a perfectly balanced diet adds stress to many Americans’ lives. The good news is that Triple Magnesium 250 mg by Vital Nutrients is a stress-free way to stay healthy. Each bottle contains 90 capsules. Other Ingredients: Gelatin capsule‚ magnesium silicate‚ and leucine. 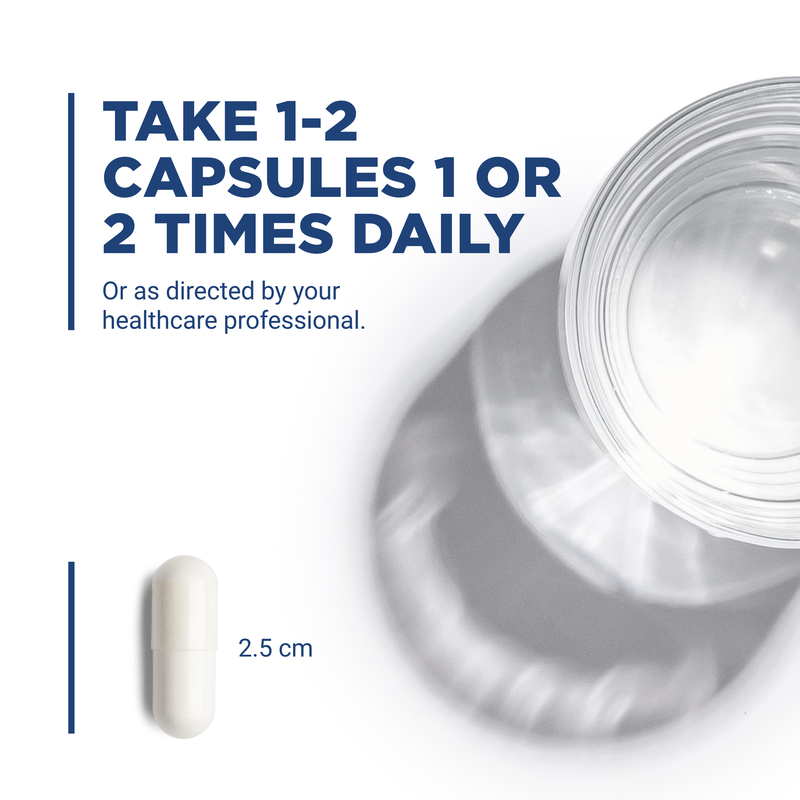 1 to 2 capsules once or twice daily‚ or as directed by your healthcare professional. Love this Triple Mag 250 mg by Vital Nutrients. Helps regulate me and keeps me consistant. Works great for my son. I use Triple Mag by Vital Nutrients for my 9 year old son. He was prescribed this for helping to calm him and sleep better. I noticed a difference in his sleep quite quickly. He is able to swallow the pill easily and that has allowed us to incorporate it easily into his routine with not arguing. No identifier on capsule to remember what the item is when you take multiple supplements. I have always had a problem with going to the bathroom. I take Triple Mag by Vital Nutrients after meals and before I go to bed. I go as soon as I get up. Its great. I have been on this Magnesium supplement for a few years and I don't let myself run out. It definitely makes a difference in how I sleep and how I feel! I started taking Triple Mag by Vital Nutrients a couple of years ago at the recommendation of a nutritionist. Not only was I recovering from a concussion; I also suffered from migraines. Magnesium is recommended for both. This particular brand was recommended because of its quality. Knowing that it's a quality product. Been using Triple Mag by Vital Nutrients for about 6 months now. I take 750 mg a day and have seen a big difference in my bowel schedule. My doctor suggested Triple Mag by Vital Nutrients to help me with my sleep issues, but I found that it does more than that and also helps with bowl movements! Triple Mag by Vital Nutrients was recommended by my naturopath for constipation. Not only did it help with constipation, but it has helped me with sleep. As soon as I take it I feel a calm come over me. I sleep very well when I take Triple Mag and don't wake up feeling groggy. 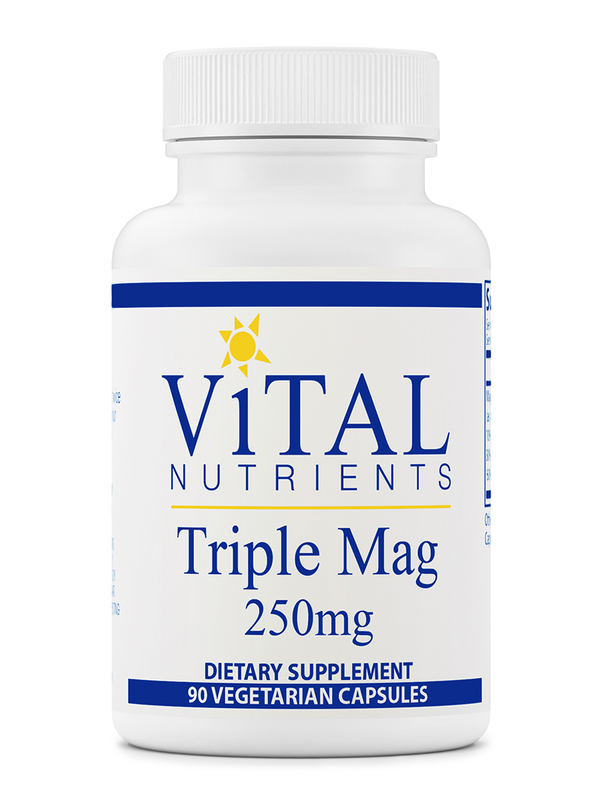 Triple Mag 250 mg by Vital Nutrients has finally helped me make a routine of taking magnesium. I previously tried Natural Calm, but I just couldn't make a consistent habit of drinking it in a hot beverage before bed. This has made a huge difference!